It's officially 2018 and after a slight delay, i'm back into the swing of things and finally presenting you guys and gals with the 3rd and final instalment to my Winter Coat Guide. I myself am welcoming the new year with open arms however, in a slightly different sense. Previously, i've gladly waved goodbye to the past and hoped for better luck to fall my way. 2017 most definitely threw a spanner in the works. I'd like to note that 2017 was my year, a sort of milestone that i'll always remember as the year that set up the rest of my life. Now i'll most probably be writing a post soon explaining the new years resolutions that i hope to achieve and of course, probably won't achieve (s/o to all my girls & guys still eating cheese boards in January). But before that, here are my 2017 achievements that make me sad to say goodbye to my mate 2017 but conflictingly optimistic about the future and the opportunities that 2018 will bring. 1) At 22 years of age, I got my first passport and went abroad for the first time. That's right, you read correctly, only at 22 years old have i just got my first passport! (insert shocked faces). As a christmas present, my boyfriend and his family made it possible for me to go on holiday when i finished university and it was just such a great experience! For years, i'd heard of friends going on holiday to all of these amazing places and not being able to relate, however waiting this long has without a doubt made me appreciate it a whole lot more and now i just want to see everywhere in the world. 2) I graduated University with a Honours Degree in Fashion Buying and Design. I spent 4 years at University with the mindset that i was going to fail and at most, achieve a 2:2. Passing my Degree was my only goal, so when i found out on holiday that i achieved a high 2:1, i honestly could not believe it and it gave me such a much needed boost of confidence. 3) I worked as a Temp at Next Head Office. When i'd completed uni, i landed a job at Next within the Next Directory Production Team which meant i was able to gain so much experience within different sectors, from styling, to admin, to running around and sitting in meetings where new collections for next season were selected. It was here that i realised i wanted to work within styling and follow my creative side when choosing my career path. 4) In October i got my dream job! From the day i started my new job as a Fashion Stylist, everything fell into place, my mindset, my mental health, my motivation and my general happiness. I cannot stress enough how important it is to do something you love. Work takes up a massive chunk of our lives and for me personally, i just couldn't spent 5 days out of my 7, wishing my day would come to an end. When i'm at work, i'm excited to be there and when i'm home, i'm thinking about what i can bring to my work to make it even better. For me, work doesn't feel like the chore that it once was and i am really and truly in love with what i do for a living! (hallelujah). 5) I started my blog! Hip Hip Hurray! I've always loved writing and it's been something i've put off for years. I used to write in books and look back at the progress i'd made over the years, but with my new job, fashion has become a huge aspect of my life and therefore i have content ideas popping into my brain left, right and centre which lead me to begin my blogging journey late last year. With University ending, it's been nice still being able to write and do things in my spare time that make my soul happy and keep me on track! I love blogging and i'm exciting to see where it'll lead. With Blogging in mind, maybe i should actually begin my outfit post (excuse my babbling). 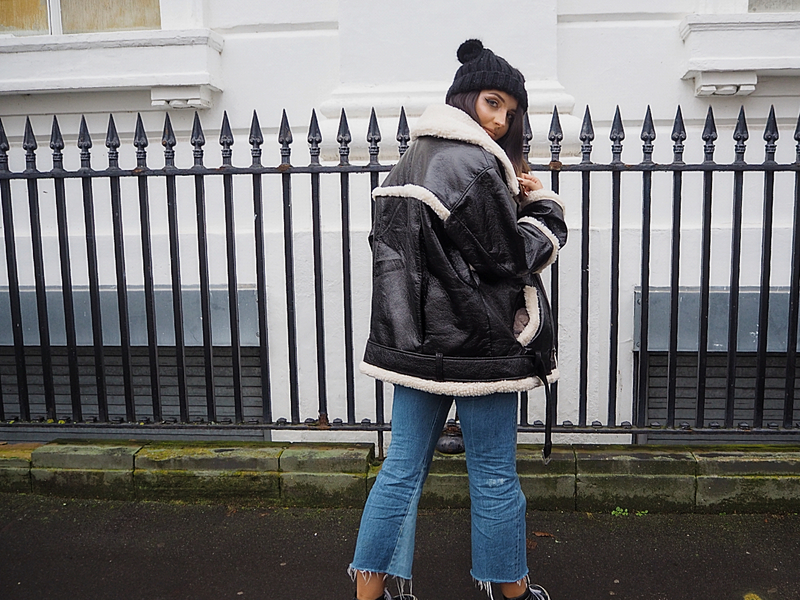 So we all know what's coming, of course i couldn't write a winter coat guide without including my trusty friend, the biker jacket. 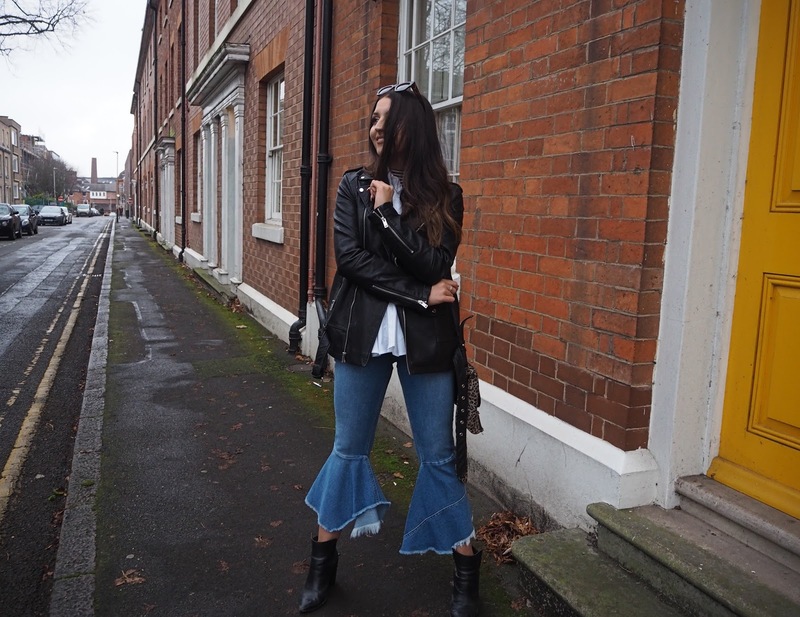 Whether it's cropped, faux fur lined, oversized or longline, the biker has been my life long companion and probably the item that helped me find my overall style. 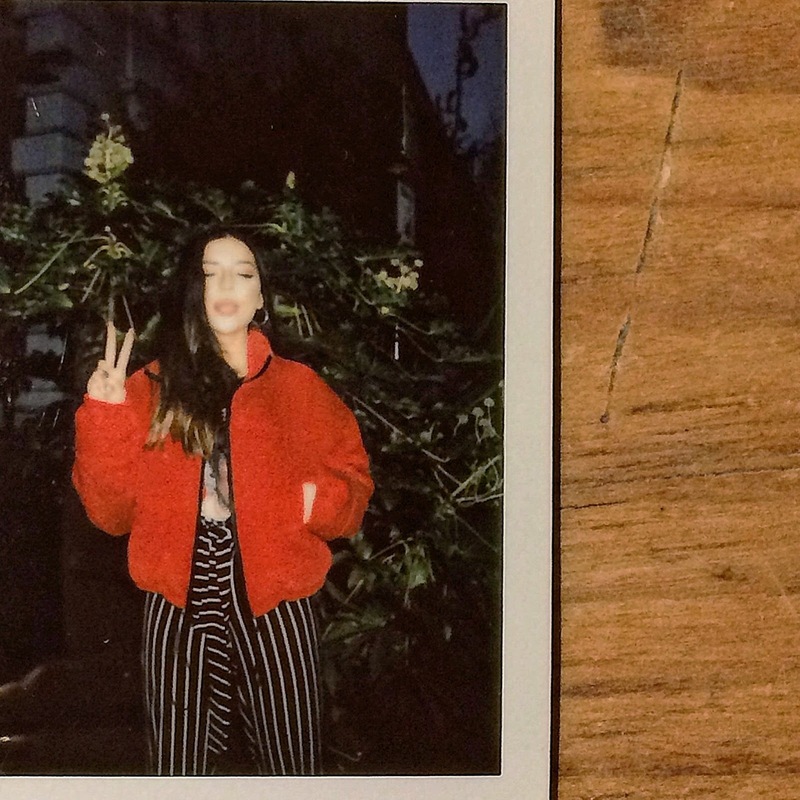 In 2011, a sixteen year old Emma wondered into a vintage kilo store and purchased a size large 80's padded biker jacket that twenty two year old Emma would shake her head at however, that was when my love for biker jackets began and i don't think you can ever ruin an outfit with a good biker. 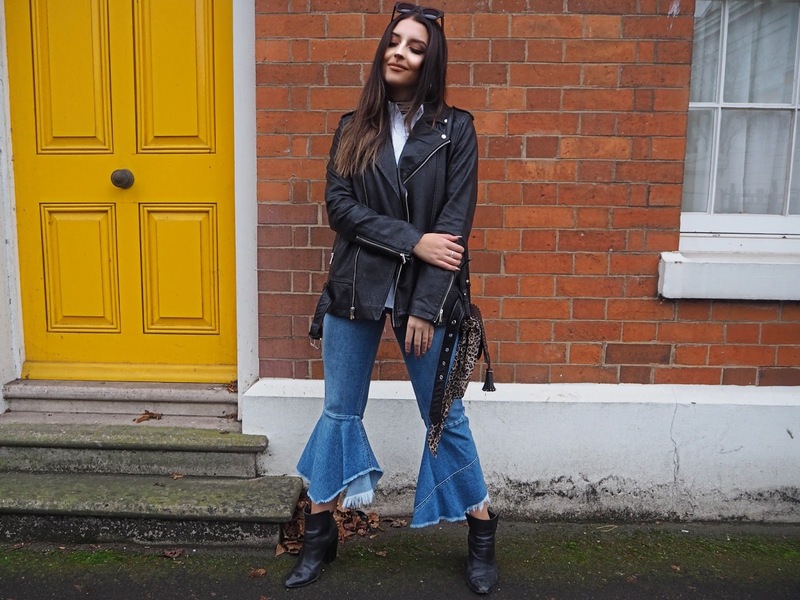 My biker here is originally from Zara however i purchased it via Depop for £10 (Can i get a hell yeaaaahh). 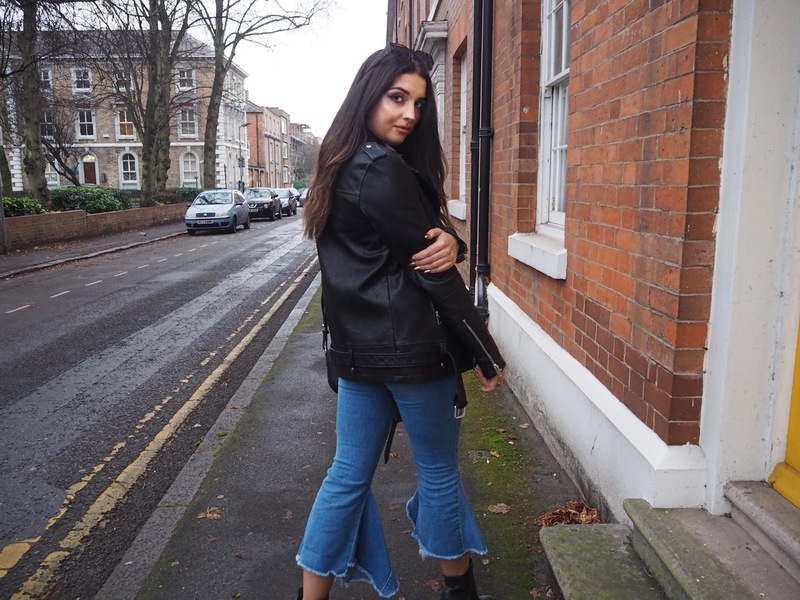 I had a cropped biker and felt like it had lost it's original sleek look so went hunting for a biker i could purchase that i could wear day to night. 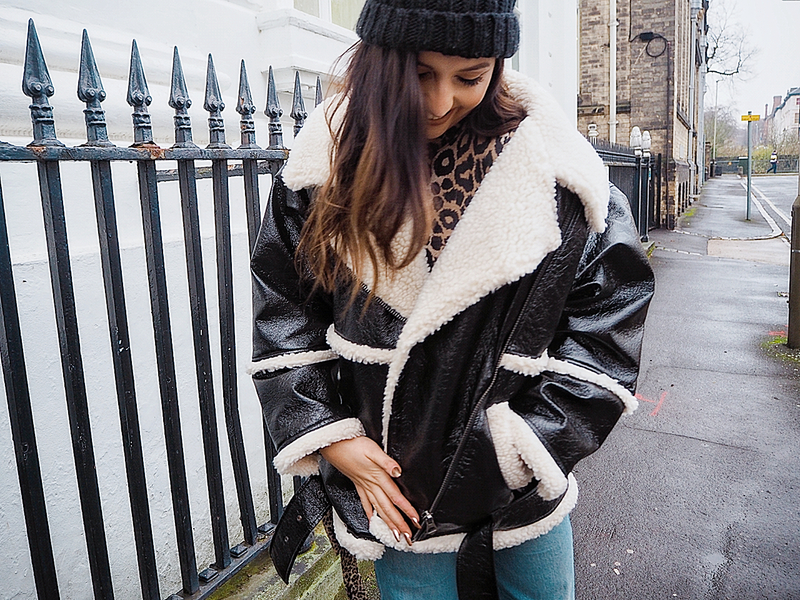 This particular jacket is sold out but there are plenty of bikers online at the moment and i cannot recommend Depop or eBay enough if you're looking for a new coat but are a bit strapped for cash. 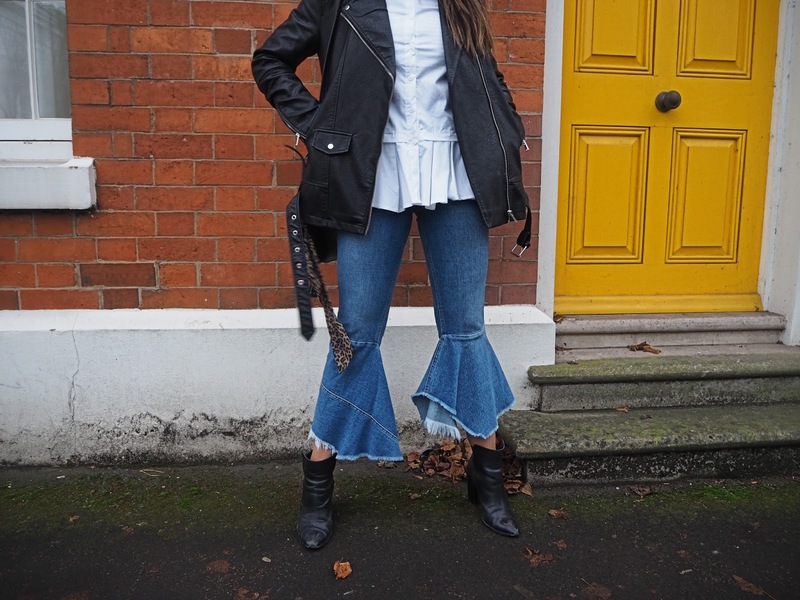 I've paired this with my flare jeans from Asos, which you can find Here and my ruffle shirt which i purchased from LOTD a while ago and is currently out of stock however you can find their website Here for some amazing pieces for super reasonable prices! I'm wearing my All Saints boots here as along with biker jackets, black heel boots are my weakness. These are a bit dated and they've gone through some stressful hours of wear however i still reach for them most days as they're a comfy alternative to stilettos, without comprising feeling like a boss lady when going casual. I do love a good pair of trainers but to me, there's nothing better than stepping out of the house in a pair of heels and feeling ready to take on the world. Finally got round to writing up my third blog post and part 2 to my Winter Coat Guide. Here it is in all it's glory, The Puffer Jacket. 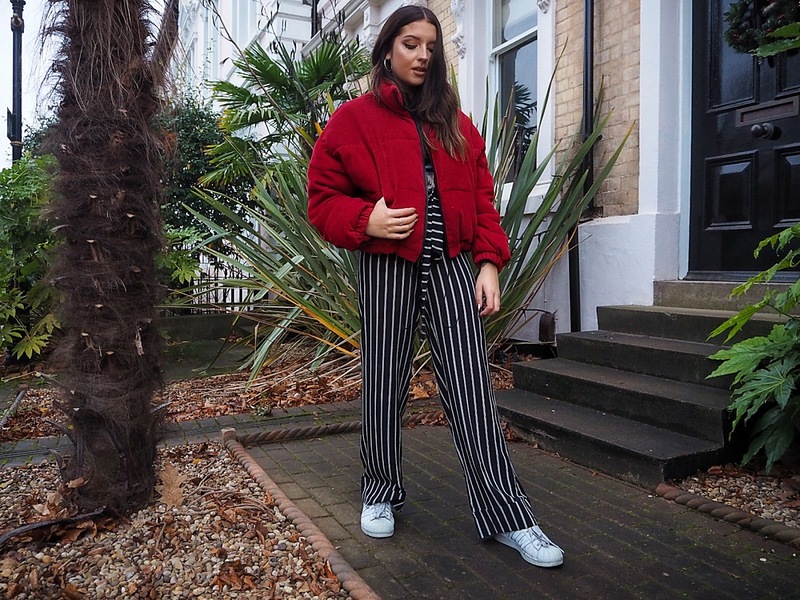 Replacing last season’s bomber as the infamous outerwear go-to, the puffer jacket is dominating the high street and is welcomed with open arms for it’s practicality and style. I myself have never been one for the athleisure look and for most of my teen and young adult years avoided wearing anything that wasn’t black or grey. I have always been a fan of the All Saint’s Grunge look and was convinced I’d live out my days in the same black heel boots and leather jacket combo. However, since beginning my career as a stylist and putting together looks every single day, my taste has altered and I’m happy to say I’m exploring new styles and making bolder outfit choices every day. Now don’t get me wrong, I am still utterly obsessed with Dr Martens and will not go out on the weekend without my trusty leather jacket, but I now whole heartedly welcome colour into my life and make it my mission when I walk into a shop, to hunt down the most crazy, textured, colourful piece of clothing I can get my hands on. 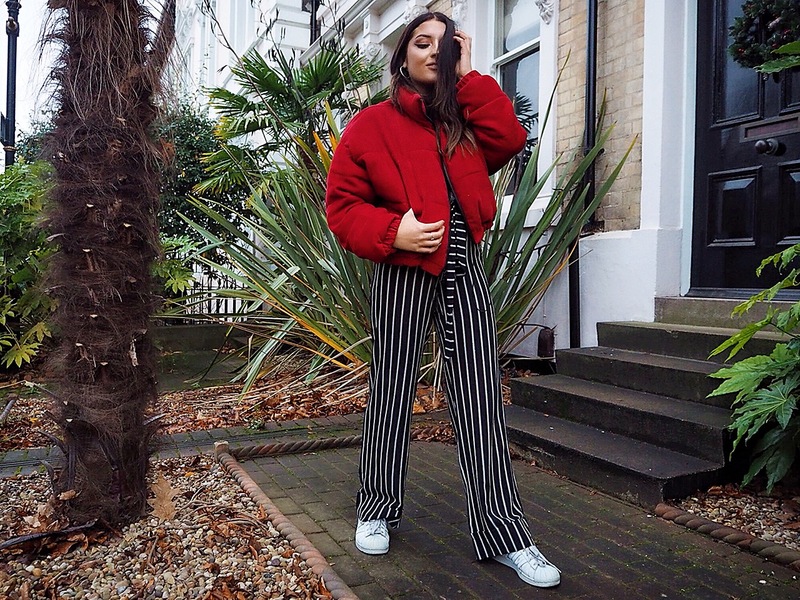 Two trends I am allllll over this season are stripes and anything red. The colour of the season has dominated my wardrobe the past few months, whether it be a simple cross body bag, a red leather skirt I picked up from a vintage store or my tassel earrings, I am living for this colour and don’t think I’ll be straying away from my love for it any time soon. So what would be better then to brighten up those winter months with a statement coat that mixes functionality and style? 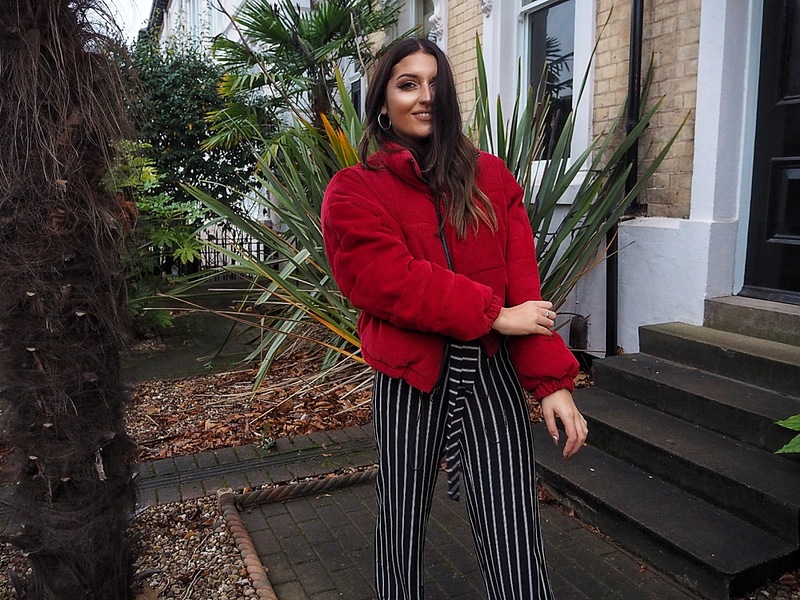 This Puffer Jacket from Urban Outfitters does just that, and with it’s bold colour and cord fabric, UO have taken a simple jacket style from Sports to Chic without compromising the element of warmth that we are definitely needing in the UK this month. Now unfortunately UO are out of stock of this particular puffer however i'll leave some links at the end of this post for similar styles and other puffers i am loving this season. 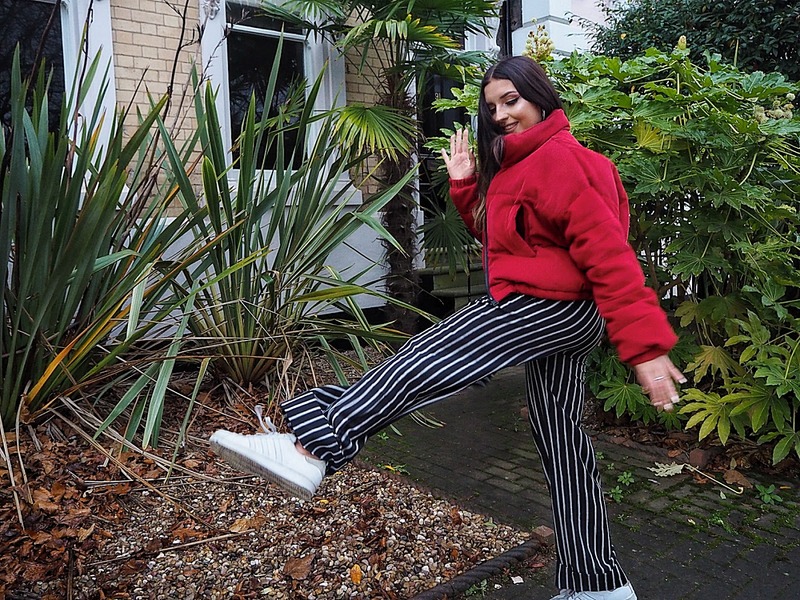 I’ve paired this jacket with my stripe trousers I purchased from Nasty Gal in the Black Friday Sale, a plain old t-shirt and my Adidas Reflective Superstars I bought a couple of years ago. I absolutely adore wearing trousers at the moment and particularly enjoy purchasing any trousers that stand out from a mile away. 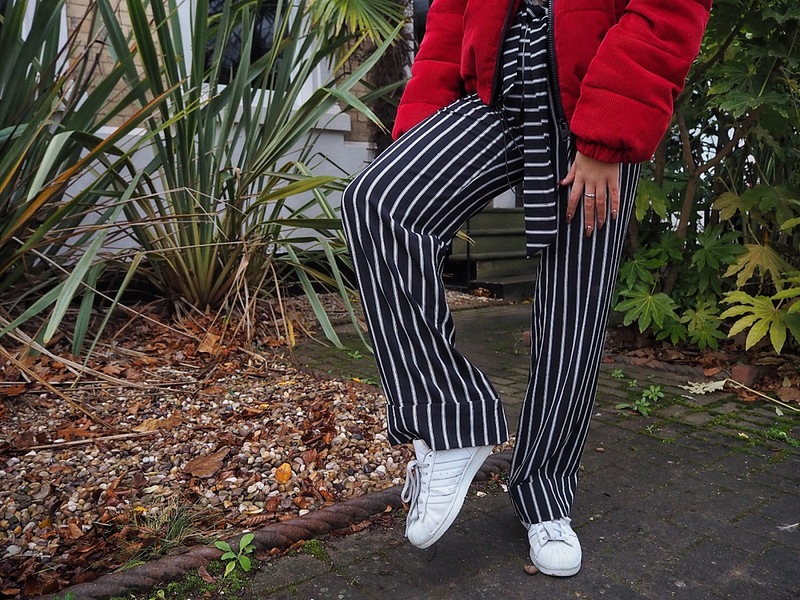 Stripe trousers are your best friend if you’re on the shorter side and want to accentuate your legs. I’m not the smallest gal but I just LAVVV crazy trousers and this season the shops seem to be making my life difficult and my bank account worse off with their trouser antics. Printed or striped trousers can completely transform your outfit and are perfect if you’re feeling a little lazy with you style on a Monday morning. I like to wear my printed trousers with plain black tops and any of my plain outerwear pieces for a bold look that doesn’t scream “I got dressed in the dark” but still allows you to be a bit wild. 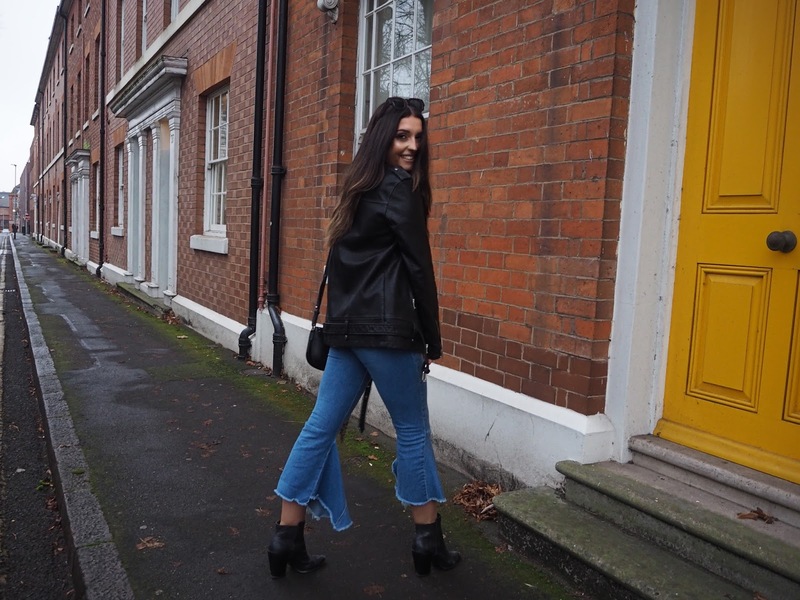 This is my second blog post (yay) and I’m excited to share with you all, a little bit of what I’ve been up to these past couple weeks, aside from listening to Mariah Carey on repeat and trying not to break any bones hobbling around in this fun, festive weather. I am however incredibly relieved to say that I did not have to shoot my first outfit post in these conditions but if it were snowing, how appropriate would that have been, considering this is part 1 of the OFFICIAL WINTER COAT GUIDE to my favourite and must have outerwear pieces to keep you snug and stylish all season through. 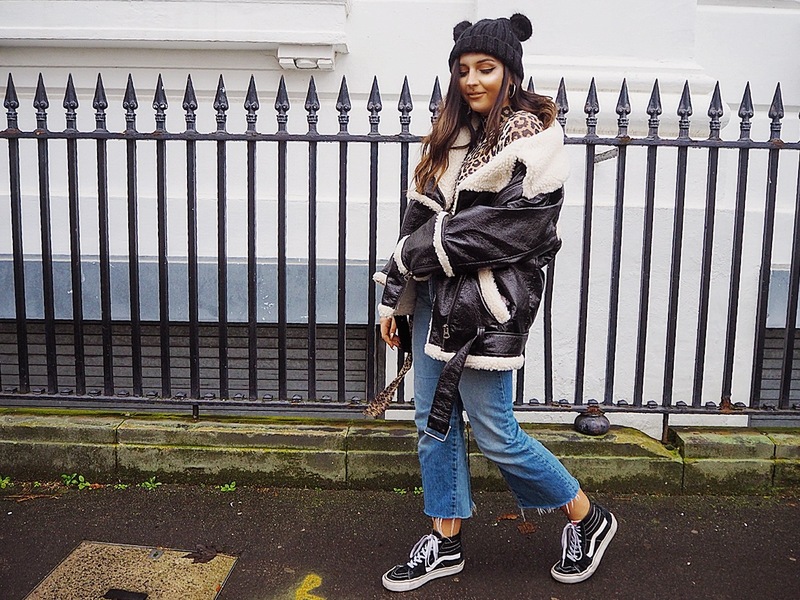 In my next few posts I’m going to talk you through my top 3 essential coat styles that are an investment must-have this year, how I style them day to day and how you can get the most for your money when layering up through these cold winter months. The Aviator, known for it’s historic relevance, has come a long way since the 1930’s and once a practical attire for the American pilot, this style of coat is now prominently the street style staple of the past few years and I’m certain it won’t be disappearing on us any day soon. Despite it’s functional properties (so snuggly), the aviator is flying off the shelves and I am obsessed. In 2010, Burberry’s ‘Cadet Girls’ Collection transformed the aviator from a masculine workplace piece to a completely accessible and must have accessory in any women’s wardrobe, and just look at it now. This year, Zara are still selling their most famous oversized aviators regardless of it being the coat of the season in 2016, and now retailers everywhere are joining to craze by producing the aviator in 1,00000000 different colours, sizes and price points. 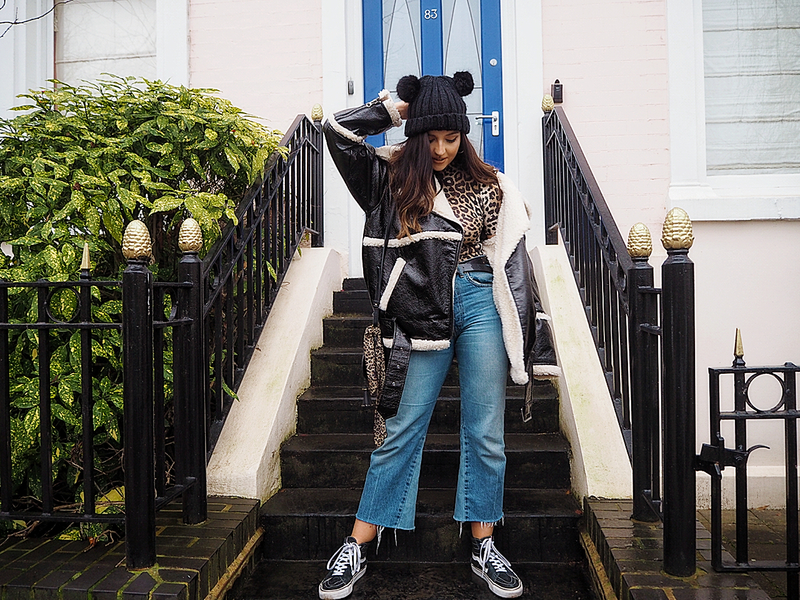 Style and practicality come hand in hand with this one and that’s exactly what I found when finding this amazing Monki coat via Asos. Normally, I refrain from spending a lot of money on one item of clothing and I’m incredibly bargain driven, however, when it comes to outerwear, I don’t think an occasional money splurge is a problem, considering with classic styles such as the aviator, you’re bound to wear it year after year. 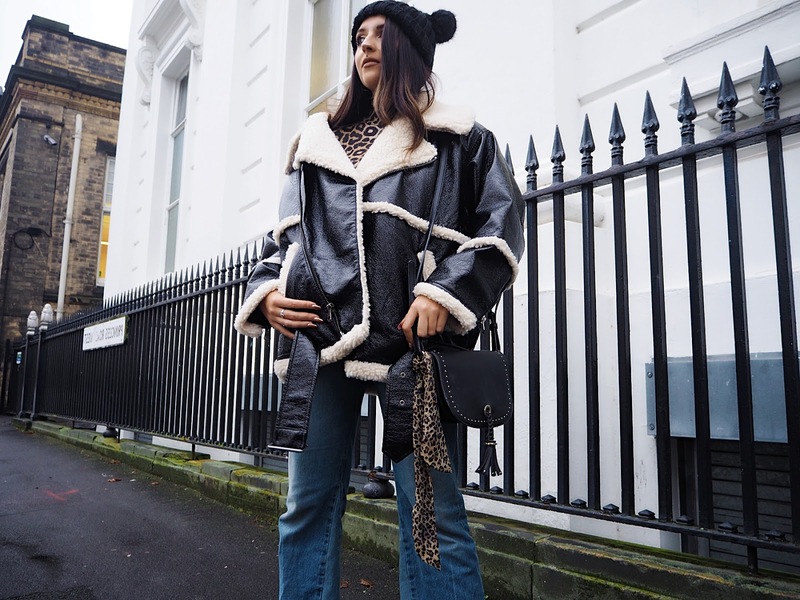 I dreamt about buying this coat for weeks when I had seen it bouncing around my insta feed on fashion bloggers, and with the intention of buying an aviator dissimilar to everyone else’s, I hit the jackpot with this piece. It’s warm, practical, great quality and is such an amazing statement piece for the winter. I firmly believe, as long as you have a great few coats this time of year, you can absolutely nail the fashion side of things as your coat or jacket is the key factor of your outfit and the rest simply follows. Welcome my fellow fashionistas, millennials and friends! 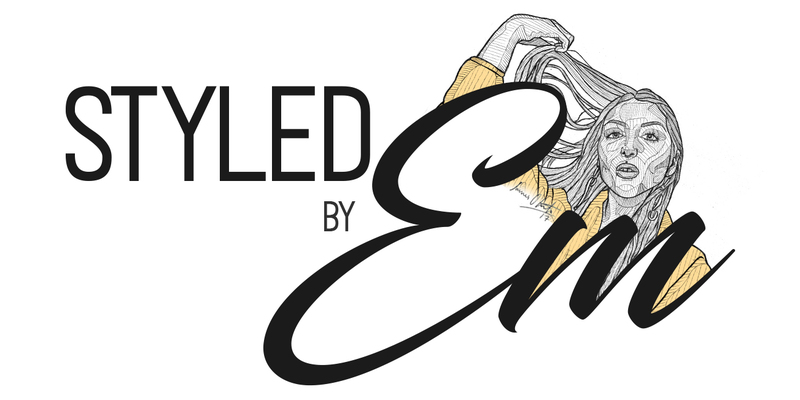 My name is Em and this is my first blog post. That’s right, After years of forgotten New Years Eve resolutions and joking around with the idea, I’ve finally plucked up the courage to launch my very first fashion and lifestyle blog. 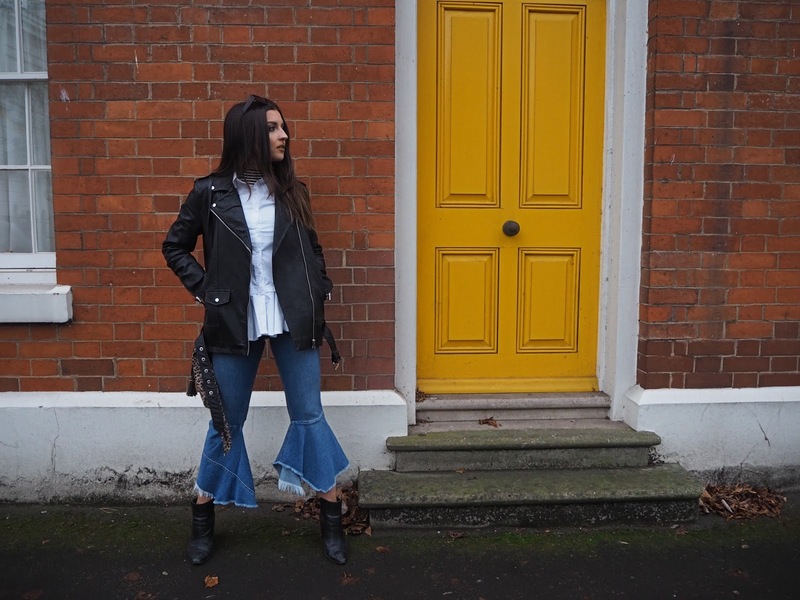 Hey, I'm Em Hawkins, i'm a 22 year old British Fashion Stylist & Blogger. This site is primarily for my blog content however please see my portfolio page for examples of my work and do not hesitate to contact me for enquiries or collaborations.